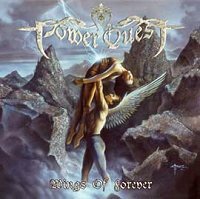 Power Quest is a British metal band which was conceived in March 2001 by keyboardist Steve Williams as an outlet for his melodic power metal compositions, influenced by the likes of Stratovarius, Rhapsody and Freedom Call. Having recently left London power metal heroes DragonForce (Formerly DragonHeart) it was time to start recruiting musicians to "join the Quest". Steve Scott (ex-Shadowkeep and ex-DragonHeart) was approached regarding bass duties. Steve was keen to work with his former colleague and duly accepted the offer. The original intention was for Power Quest to be entirely based in Southampton but this was proving to be nigh on impossible. Nevertheless, the next addition to the ranks was from Southampton. Guitarist Adam Bickers had met Steve Williams through his own band D.R.S and was invited to fill one of the guitar slots in the band. Adam didn't need a second invitation, he was eager to play some catchy melodic metal, as D.R.S veer towards the death/thrash side of the metal spectrum. Adam will continue to work with D.R.S as well. Having successfully filled one of the guitar berths in the band, it was time to consider the second. Following discussions between Steve W and Steve S it was decided that the man for the job was a certain Sam Totman (current DragonForce axeman and erstwhile guitarist and focal point of metal maniacs Demoniac). As well as offering great guitar work, Sam is renowned for his ability to pen and arrange a "catchy" metal anthem! When approached, Sam was "totally keen to do it" although he remains committed to DragonForce. 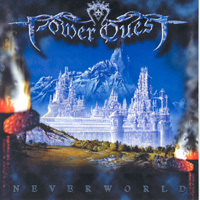 In April 2002 vocalist Alessio Garavello was recruited to the Power Quest ranks. He was recommended to the band by Maurizio Chiarello, label manager at Underground Symphony records. Alessio flew over for a photo session with the band in May 2002 and returned in June to lay down vocal tracks for the new album. You can hear the first results when the new mp3 is made available soon. In July 2002 Power Quest recruited a third guitarist. His name is Andrea Martongelli. Andrea accompanied Alessio to England while he recorded his vocals for "Wings of Forever" and he put down a couple of guest solos. The band were impressed with his ability and creativity and offered him the chance to join the line up shortly afterwards. After a long wait for the finished product, "Wings of Forever" is now commercially available and the feedback from the fans has been amazing so far. As the Quest heads into 2003, Power Quest are rehearsing and writing material for the next album. 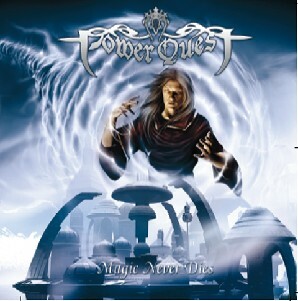 In January 2003 drummer Andre Bargmann was recruited into the Power Quest ranks. We look forward to recording and playing live with him. At the same time Sam will be cutting back his involvment with the band due to his other commitments, although he will still be around in a "guest" capacity. Adam has had to relinquish his role with the band to pursue his medical degree and future career in the medical profession. We are sorry to see him go but wish him all the best for all his future endeavours. Writing and rehearsing material for the second album is now well under way. Seven songs are currently being worked on with another 3 in the pipeline. Recording is scheduled for June 2003. "NeverWorld" , the follow up to "Wings of Forever", was recorded at Thin Ice between June 10th and July 18th, with production handled by Karl Groom. The mix is being done by Pete Coleman at Mastertone studios in Runcorn. The album is due for release around March 2004 though Now and Then Records. More line up changes in July as drummer Andre Bargmann left the band. His place was filled on the tour by Last Hours of Torment drummer Gavin Ward. Gav did such a great job that we immediately offered him the gig full time when we had returned from the tour...which he accepted! With the "Neverworld" album released to critical acclaim in March 2004, the band headed out on a short UK tour in June '04 and played some memorable shows at Camden Underworld and Bradford Rio amongst others. The gigs with Threshold in September '04 were a tremendous success with the band gaining whole group of new fans! Meanwhile the band continue to work on material for the 3rd PQ opus! 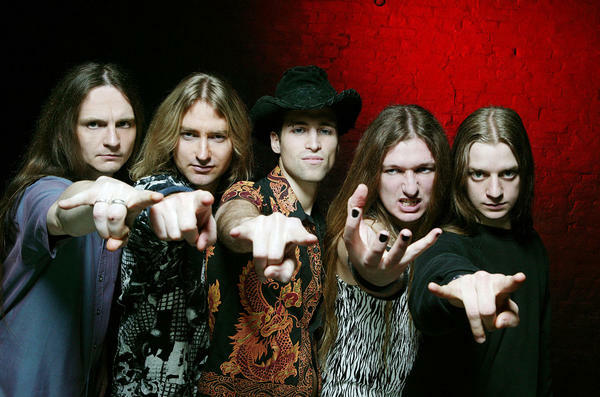 November 2004 saw the band play a show with Dream Evil and Labyrinth in London, and then later in the month the band headed back to Thin Ice studios to record three new songs for the "Magic Never Dies" album. The rest of the recording will be completed by the end of February 2005. Francesco Tresca joined the band in February 2005 as the new drummer, shortly after completing drums for "Magic Never Dies". "Magic Never Dies" was released to great critical acclaim in Japan in May 2005 and in Europe in August 2005 with awesome reviews coming in from all quarters. The European release came in a Limited Edition Digipack with bonus DVD initially and the Japanese version contained a bonus track. In November 2005 the band headed out on the road in support of the new album and played 6 UK shows culminating in appearances at the world famous Marquee Club in London and Firefest 2 at Nottingham Rock City. The response to the band and the new material was the best the band have received up until now in the live arena. Power Quest are currently recording their 4th studio album "Master Of Illusion". The album has been described as having "catchy melodies, fast paced songs, mid paced songs, epic songs" and will have a "hard rock" sound with "power ballads" and a more "heavier guitar work".